Around 30mm of rain have fallen in the last 24 hours which, coupled with strong winds, have created numerous emergency calls for West Sussex Highways. The highways department has reported 31 emergency jobs so far due to the weather conditions. An earlier Tweet said that a large number of trees have come down and highways staff are very busy dealing with the incidents. 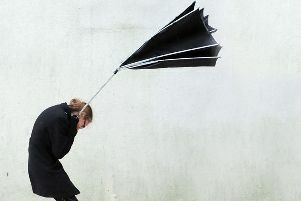 A Met Office weather warning is in place at the moment with strong gusts expected to last until the late afternoon.